I made a card for a One Card a Month Swap in the Enjoy Michael Strong Yahoo Group. 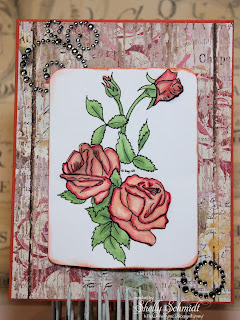 I used a tutorial for the Woodgrain background from Karen Ds blog- link HERE I used distress inks and played around with the look I wanted. I started with Antique Linen, added Weathered WOod, used a touch of Brushed Corduroy and a tiny touch of Stormy Sky. I scored at every 1/2" on a 4" x 5.25" piece of white Georgia Pacific cardstock which had Elmers glue painted on in up and down stripes. My ATC group theme for the January swap was 'Circles'. are cut from waste napkins from a workshop using shimmery sprays. I added white gel pen circles and a jewel on each flower center. Rt Cindy K using acrylic thru the embossing machine and glued it to cardstock. Barb I. from Florida sent up swaps- she was in the area, but we could not work out meeting up. I traded ATC's for her. The theme for the Bugaboo 6th Birthday Bash is a recipe :1 animal, 2 layers, 3 brads, bling or buttons. 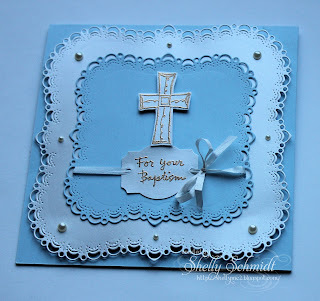 Having limited supplies is a bit challenging, and I cannot find the bling a brought with me- luckily, I found three rhinestones here : ) I was also not sure whether the base layer is one and the elephant layer is two, so to be on the safe side, I went with the above card. Dad is having a rough day today, feeling aches and pains as people do after surgery..... He is doing better than I expected and I am thankful for that. He is very chatty and knows all of the staff, who is married, where everyone lives, etc.......even when he does not feel well. I am hanging in there- have a stuffy head and cough that is making me have full out asthma attacks- got started on antibiotics and steroids tonight....... Oh boy! For day 6 of the Bugaboo 6th B-day bash, we have a photo inspiration. I used the colors and the circles, plus the elephant from the inspiration picture. 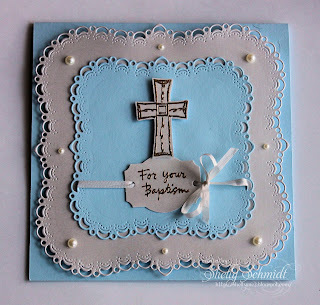 I punched out 3/4" and 1" circles, ran them thru an embossing folder and added them to the card. Inspiration from a couple of members of the DT. I used a rarely used Spellbinders die for the image and cut it out again in the blue and brown. The image is colored with Copics and I added lots of Stickles to the image too. Bugaboo's 6th Birthday Bash Day #4 challenge is a Tic-Tac-Toe board. I chose to use 2 or more animals, a Sentiment and a button. I had a Copic marker issue where it blobbed out ink for the first time ever! Yikes! I am out of town and had no extra images, so did my best to fix up this image.... My Mom still gives this card a thumbs up, and so I guess it will do....... Sentiment is from Create with TLC and is punched out with a SU punch. The image was cut out using a Memory Box stitched die and I re-ran it through to make it shorter. I added Stickles to the dots on the gift and on the the balloons. My Dad had surgery Wednesday on his lung- he has Emphysema and had his lung collapse, and the chest tube that was inserted had a 'leak'..... He had a resection of an area of the lung, and now has 2 chest tubes. He is doing very well so far- for 87 years old..I am impressed! Day 3 of the Bugaboo 6th Birthday Bash is a color challenge. I colored the image with Copics and added Stickles for some shimmer. There is also shimmer added using Wink of Stella to the background stitched circle behind the image and to the darker blue circle behind the sentiment. The dark blue backing is embossed using a cloud themed EF. The stitched dies are Memory Box and the sentiment circles are all SU punches. The sentiment is Create with TLC. The Day 2 challenge for the Bugaboo 6th B-day Bash is a Sketch challenge. The cupcakes are Washi tape on a birthday themed DP. The Sentiment is Create with TLC. I used lots of stickles on the gift box. 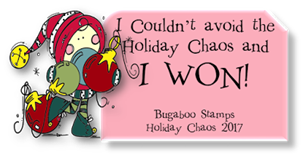 I saw that Bugaboo is having a 6th Birthday Bash with 7 days of challenges over on Donna's blog. The theme for day 1 is "Wild thing, You make my heart sing"
And, on the inside, " 70 is fine when you're Feelin 29" It is my SIL 70th Birthday- she will LOVE this card : ) I colored the image and the rhinestones with Copics. 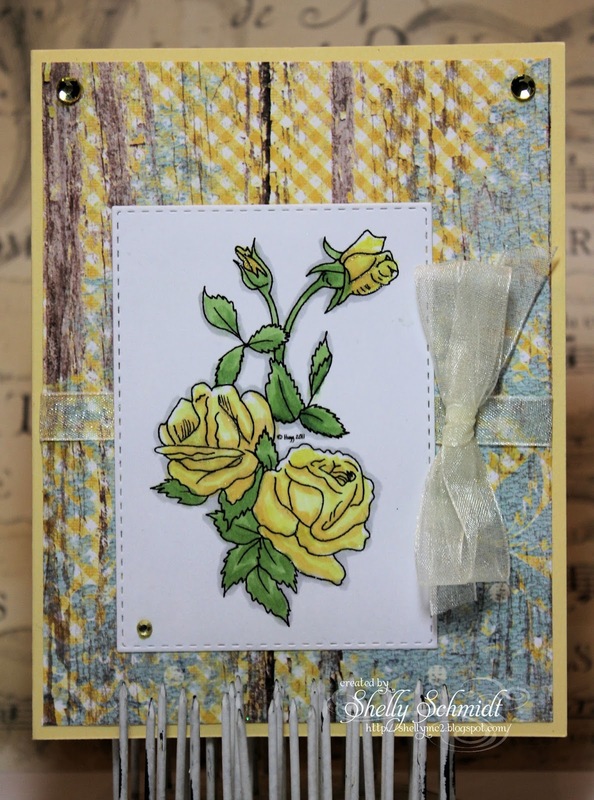 Sentiments inside and out are both by Create with TLC. DP is by SU (retired). I am in the Dazzler group and Tracie sent us this fun image from C.C. Designs called Chick-N-Soup. Isn't he adorable. 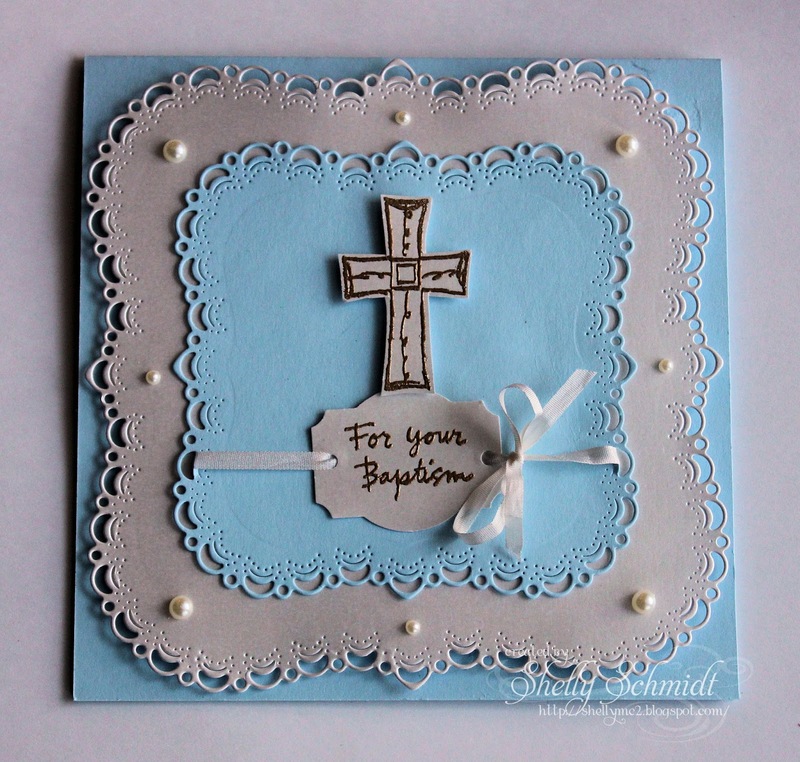 She also sent a few embellishments for our cards. 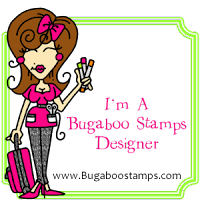 Be sure and visit the Dazzler and Diva Blogs listed to the right, below on my sidebar. An added challenge was to add our favorite soup recipe or link to the soup. My absolutely favorite soup is Chicken Tortilla Soup, and the recipe is by Suzanna Dean. She shared this recipe on her Blog a while back. I make a few adjustments for spicy-ness and no cheese for me - Yummie!!! 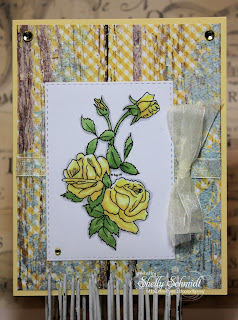 I do not usually go for yellow first, but I love this Paper Studio DP. 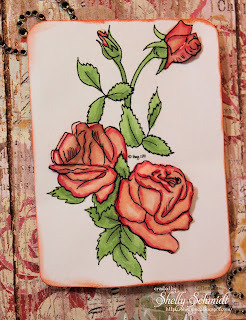 The Roses image is by Sandy Huggett and is the Progressive Freebie at the Outlawz and it is colored with Copics. One more card....... I was on a roll! I used a sketch at Freshly Made Sketches for yet another CAS card. The DP is Prima. 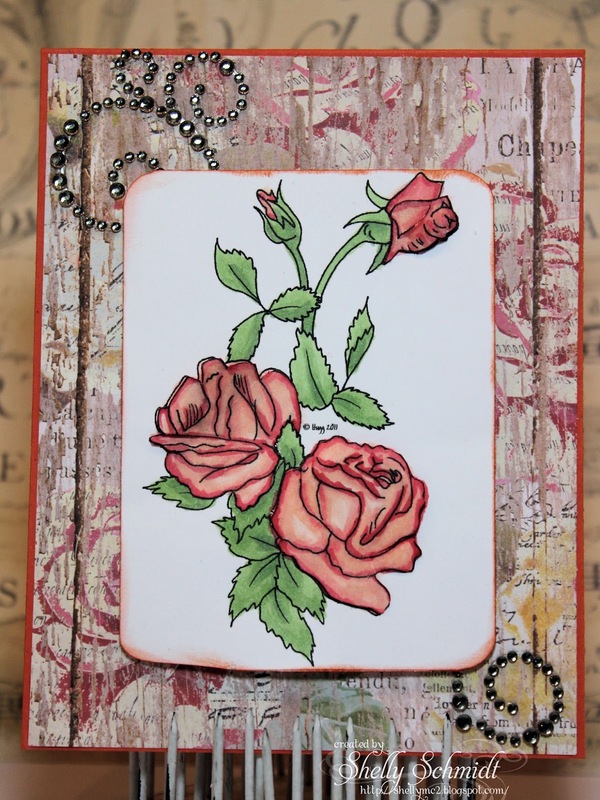 The Roses image (by Sandy Huggett) is the Progressive Freebie at the Outlawz. I colored the image with Copics. The dragonfly is a Globecraft Piccolo accent and is embossed using Cranberry Wine Enamel EP. 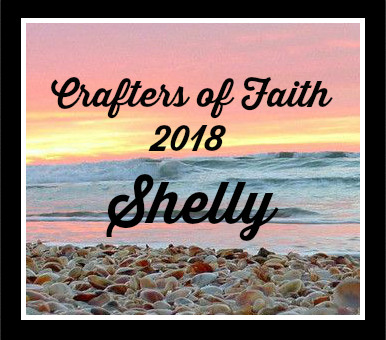 The stitched die is by Memory Craft. My nephews son was baptized, and I had to make a card for the occasion. The white cardstock is Paper Temptress and the Blue from SU. The images Impression Obsession (retired) are gold embossed. The ribbon is silk. The die is Cheery Lynn. 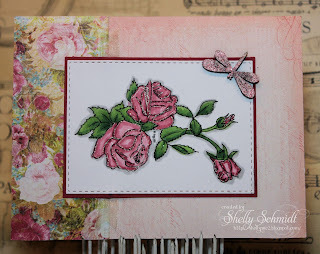 This is another new stamp- I could not resist the sale and it was perfect for her Birthday. I colored the image with Copics, added shimmer with Wink of Stella on the candles and the stripes on the hats. We spent Christmas in Colorado- the entire family and had a wonderful time celebrating together. We spent some time hiking through the Colorado National Monument and Arches National Park in Moab. Happy New Year to you, and I hope 2016 brings you many blessings!